Aaye Khelen Braj Ki Holi, Phoolon Ke Saath… Radha Krishna ke Sang! 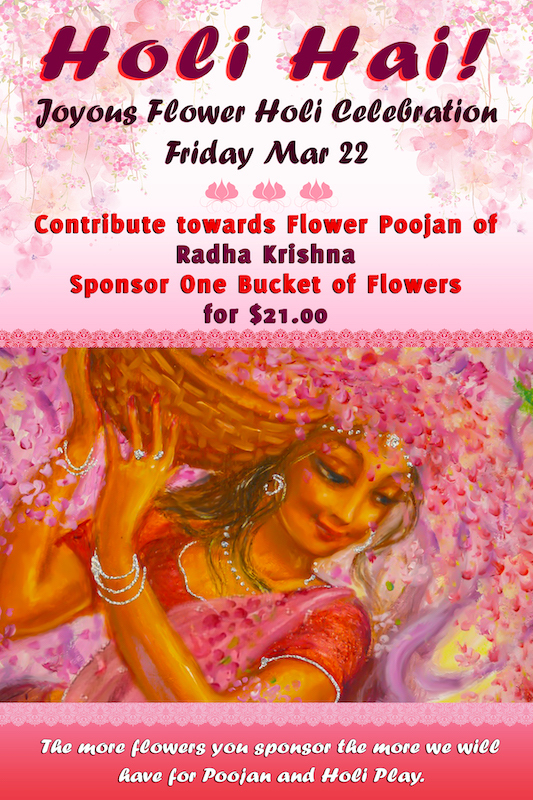 We will perform Flower Poojan of Radha Krishna to get blessings from Bhagwan on this auspicious occasion Sing joyous Braj Holi keertan, and get ready to be showered with Poojan flowers in a Joyous Flower Play. HO HO HO HO HOLI HAI !!!! HO HO HO HO HOLI HAI !!!! HO HO HO HO HOLI HAI !!!! 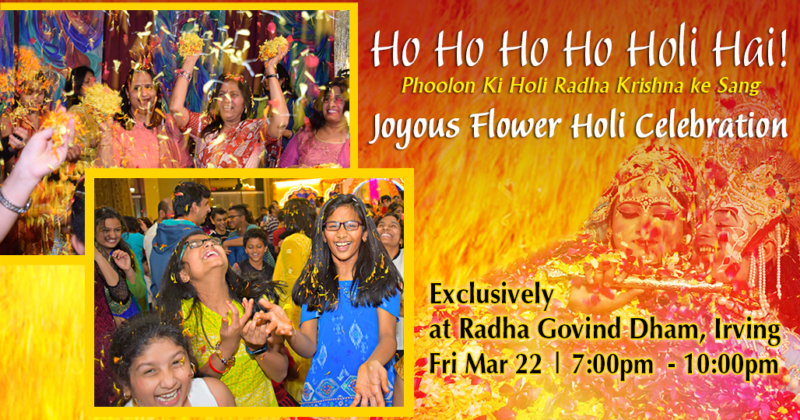 8:00 pm: Flower Play Begins – HO HO HO HO HOLI HAI !!!! We will be getting 175 Kgs of Flowers from India to make this very special. 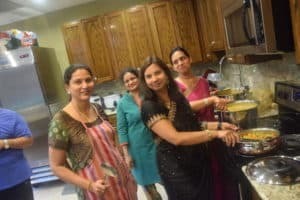 Requesting your donation to help us pay for the Flowers….the more flowers you buy the more special our Holi Celebration can be…. 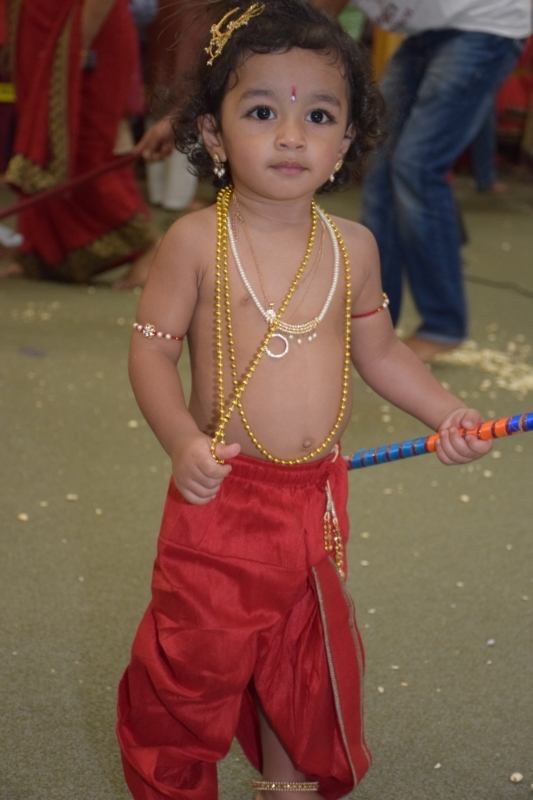 Radha Govind Dham updated their cover photo. Add my email address to inform me of future events? Costume Entry Fee is $5.00 for online registration and $10 for walk-ins. You will be re-directed to the payment screen after you finish submitting your registration form, Please wait to make payment so you can be FULLY registered. To Teach the Eternal Knowledge of the Vedas in the simplest form, while guiding seekers to attain their true goal of God realization. To Operate Charitable Projects established for deprived communities in rural villages in both educational and medical fields. JKP coordinates various social, philanthropic and humanitarian activities to provide relief to the poor through free distribution programs, including distribution of hand-driven tri-cycles, clothing, blankets, food, etc. Shree Maharaj Ji was born in a small village of Mangarh, near the holy city Prayag (Allahabad, India) in 1922. In order to benefit those souls desiring God’s love, Kripalu Ji Maharaj founded an Ashram in Mangarh in 1966. 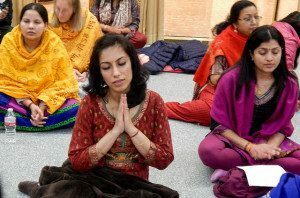 Over the years, the ashram has steadily expanded to accommodate thousands of devotees who come from all over the world. Today, Mangarh is a pilgrimage destination with an architectural wondrous Radha Krishna Temple – Bhakti Mandir, and Bhakti Bhavan a90,000 square foot auditorium that can accommodate over 10,000 devotees at one time. 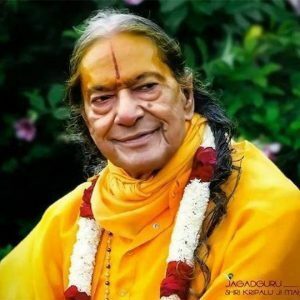 At the young age of 35 years, fame of Kripaluji Maharaj’s unparalleled scriptural knowledge spread across India and inspired Kashi Vidvat Parishat, an exclusive body of 500 most revered Vedic scholars, to invite him to Kashi to deliver a series of discourses. His discourses in fluent Vedic Sanskrit left all of the scholars speechless. With profound admiration, Kashi Vidvat Parishat unanimously proclaimed him as Jagadguruttam. After the 4 Jagadguru’s Jagadguru Shree Kripalu Ji Maharaj is the fifth original Jagadguru of India. Through countless lectures, Jagadguru Kripalu Ji Maharaj has explained the most complex teachings of Hindu scriptures in a simple, practical manner that can be understood by people of all backgrounds. He emphasized roopdhyan (actively engaging the mind while meditating on the form of God) as the most important part of Bhakti -considering Bhakti without roopdhyan lifeless. He has also revealed a sea of devotional material including Prem Ras Siddhant, 1,008 original pads (devotional songs) and thousands of enchanting Radha Krishna bhajans and kirtans. 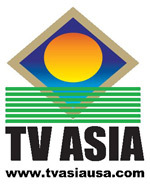 Jagadguru Shree Kripaluji Maharaj’s discourses are aired daily on US Television. His spiritual teaching clarifies the purpose of life, details the path of bhakti yoga, and outlines the essence of Hindu religion. 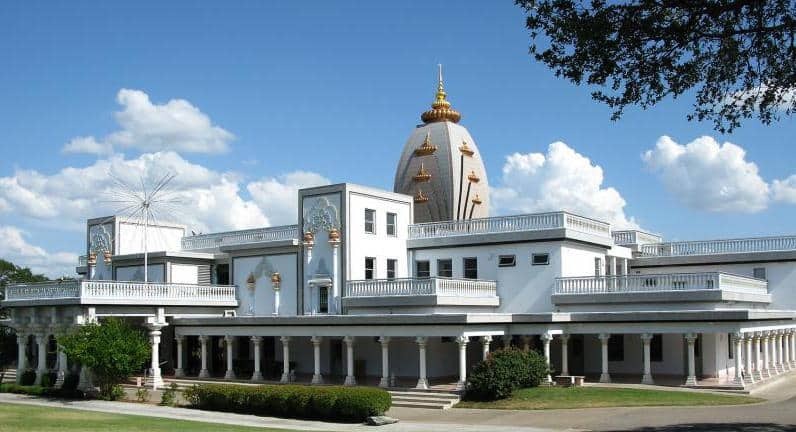 Radha Madhav Dham is one of the largest Hindu temples and ashrams in the U.S. It was built to be a representation of the holy land of Braj in India where Radha Rani and Shree Krishna appeared 5,000 years ago. 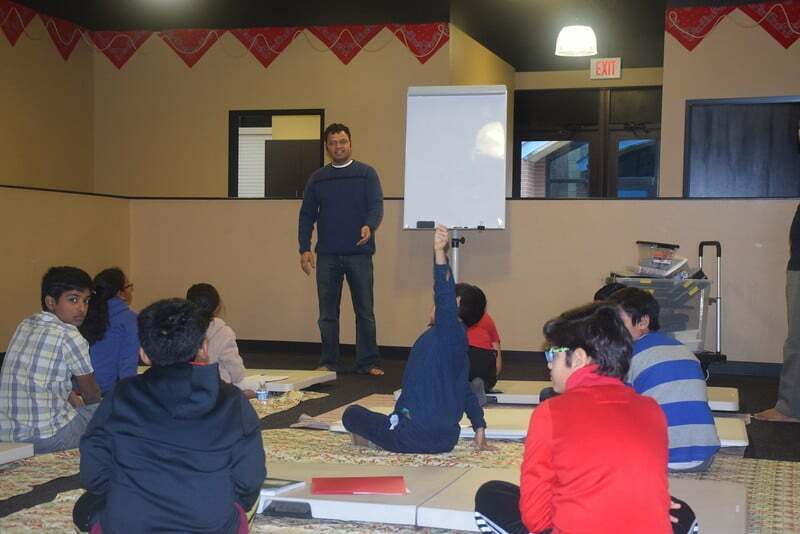 To Teach The True Knowledge of Hindu Vedic Scriptures and to ensure authentic teachings of Hindu religion are available for future generations in a simplified, practical way that is combined with logical scientific explanations as to how we can make them relevant to modern living. On the path to God, Knowledge is incomplete without practical experience. Bhakti Yog is the spiritual practice whereby a soul can attain the ultimate purpose of life, God realization. To Help Souls In Need through support of Humanitarian and Charitable Projects. This way we can not only improve the material welfare of society but elevate our own self through the act of giving and thereby accelerating our own spiritual progress. 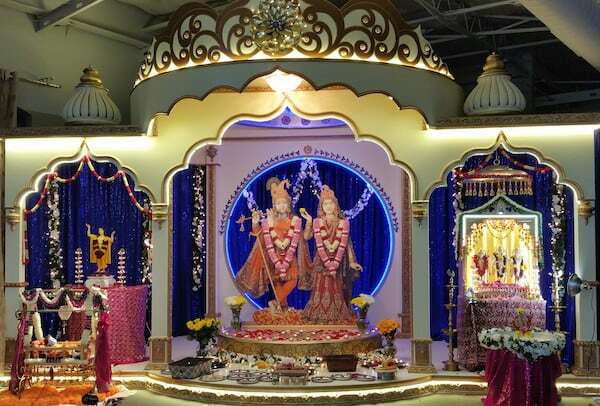 Radha Govind Dham has been established for the Hindu community of Dallas-Fort Worth, where children, adults and seniors can meet for devotional, educational programs, cultural celebrations and fun-filled family activities. A center created for the community, by the community. You can help us help your child to succeed at Shiksha. We will be strictly enforcing these guidelines and responsibilities and will greatly appreciate it if you follow them and encourage your children to follow them as well. Concerns related to classroom or learning at Shiksha should be discussed with the teacher first. If still not resolved, talk to Shiksha Principal for consideration. Let the teachers know of anything in your child’s life that may affect his/her school experience, e.g. death of a relative, illness, new sibling, death of a pet, etc. Meenakshi earned her B.E. Computer Science from Delhi College of Engineering. 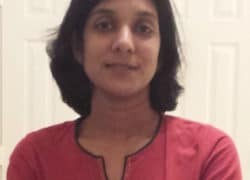 She has been working as a software developer for the last 18 years. She has two children and has been actively involved in their education. 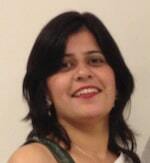 Meenakshi enjoys teaching and seeing t children blossom as they gain new knowledge. Rishi Agarwal is currently pursuing M.S. Computer Science at UT Arlington. He is currently researching on making supercomputers more energy efficient and maximizing performance with NASA. Shiksha aims to provide a nurturing environment for developing Cultural, Academic, Professional, and Leadership skills in youth. It is designed to foster in kids love for Indian Arts & Culture, promote a deep understanding about Hindu spirituality, and help children excel both in life and in school. Is Shiksha a non-profit organization? Yes. 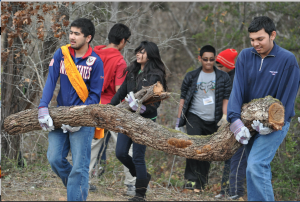 Shiksha is a non-profit educational organization and was created to provide cultural enrichment to the youth of DFW. What kind of classes does Shiksha offer? Shiksha offers many classes in the diverse areas of classical music, dance, drama, language, Hinduism, yoga, Vedic math, chess and academic enrichment classes under one roof. When and where are Shiksha’s classes held? 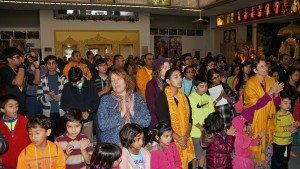 Shiksha’s classes are held every Sunday at Radha Govind Dham premises. 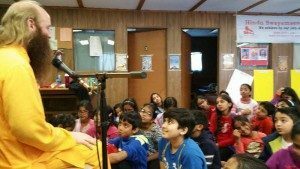 First two semesters of Shiksha are intentionally shorter to allow parents and children to try out the classes and experience the teaching style and nurturing environment of Radha Govind Dham. Classes for the first semester of 2016 will begin on Feb 7 and go for 8 weeks until March 30. Online registration is available now. How old does my child have to be to attend Shiksha? Different classes at Shiksha have different age requirements. Please refer to Class descriptions for more detail. In general, Shiksha accepts students aged 4 to 18. Are classes at Shiksha free? Only the Hinduism and Yoga class is offered free of charge. All other classes have a nominal fee schedule that will be announced per semester. Do I have to pay $20 registration fee every semester? No. Registration fee is paid once per year. How will Shiksha benefit students? Students are the focus of Shiksha. As parents, it is our responsibility to introduce our children to the customs and traditions we grew up with and value so much. We also want to make sure they learn properly and from qualified teachers. In addition to enriching our children’s spiritual and cultural development through traditional classes in Hinduism, Dance, Language and Music, Shiksha teaches them unique skills they can use to excel among their peers in school by offering classes in Theatre, Creative Writing, Art and Robotics. Being at Shiksha opens doors for Indian youth to explore the many treasures of Indian and Hindu culture. Classes are small so that the unique strengths of a child can be focused upon and brought out. Students will gain an educational ‘edge’. What can the parents expect by sending their children to Shiksha? First, almost all of our teachers here at Shiksha are parents themselves. Not only are they experts, or performing artists in their respective fields, they are also friendly, caring and trustworthy. Many of our teachers have won awards and recognition for their work. Parents can expect classes at Shiksha to be structured, conducted regularly and taught by passionate, dedicated and qualified teachers. The school year is divided into two semesters. Our teachers will follow a well-defined, comprehensive curriculum during these semesters. More importantly, your children will be learning and exploring themselves in a safe, nurturing environment with caring teachers. Is there some way I can enrich myself while when my child is attending a class? Taking classes that are offered to adults. Can I teach at Shiksha? Sure. Please send an email to Meenakshi Gupta and let us know your passion.